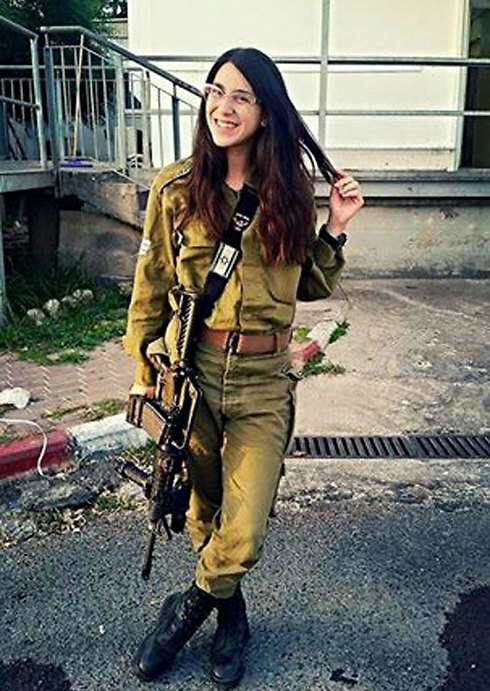 Sergeant Orel Azuri, who was critically wounded in a vehicular attack in Gan Shmuel, is recovering after lying unconscious for 13 days; ‘I’ll go back to being a combatant,’ she tells Ynet. Visitors keep coming over to see Sergeant Orel Azuri at the Sheba Medical Center in Tel HaShomer. They all want to meet the soldier who was critically wounded in a Gan Shmuel terrorist attack less than a month ago and came back to life. The terrorist, a 20-year-old from Um El Fahem, drove his car into the station Orel was in, ran her over, then exited the car and stabbed three others before being neutralized. “I felt the blow, and was thrown several meters forward. The terrorist went over me several times with the vehicle, and the next thing I remember is all of the people around me in the hospital, in intensive care. I was in shock. I woke up to a totally different reality,” she says. At the hospital, Orel was told what happened. “They told me the terrorist saw I was a soldier so he decided to run me over, of all people. The police officers told me he tried to kill me, but you can’t kill me that fast,” she laughs. Azuri was evacuated by MDA paramedics to the Hilel Yafe Medical Center in Hadera, and was transferred to the intensive care unit of Sheba Medical Center after a few hours. Doctors fought to save her life for days, until they prevailed. Sergeant Azuri. Looks forward to getting back in uniform. After a few weeks during which she refused to relent, Orel was given a place as a combatant in the Air Force’s aerial defense command. “She was a difficult soldier, who did a lot of silly things. We kept her on base for several Saturdays. But there’s no one who doesn’t fall for her the moment they meet her,” said Azuri’s former commander, who visited her at the hospital.